The Italian Moka Coffee Pot has long been a standard bearer for the best stovetop espresso maker. 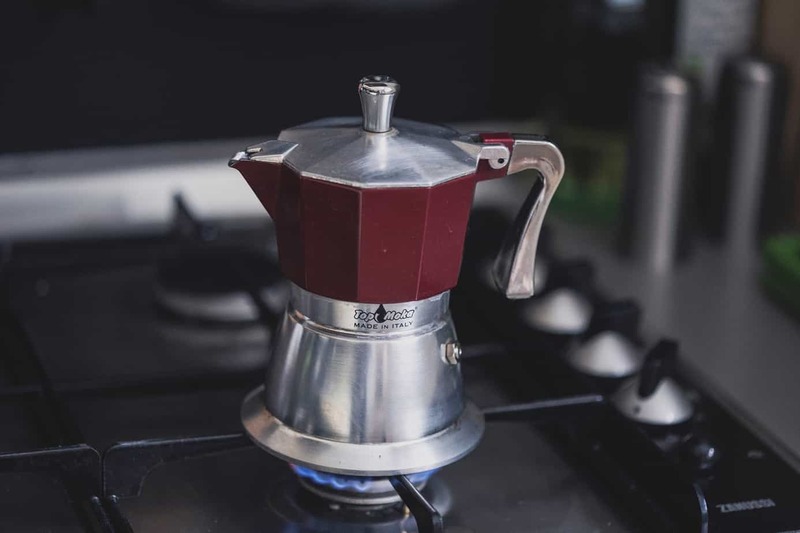 Invented in 1933 by inventor Alfonso Bialetti, who worked ten years in the French aluminum industry, the Moka coffee pot arguably designed coffee culture in Italy and went on to influence other coffee cultures, including Cuban coffee. Once heralded as the best coffee maker, continuing innovation and the striking popularity of coffee pods are threatening to make it obsolete. In December of 2018, the once iconic Moka coffee pot was declared an “endangered species”. But is this an exaggeration? What room is there still for the Moka pot and other stovetop makers? And how, with so many competing choices of different types of espresso makers, can you make sure you’re purchasing the best one possible? What’s the big deal with the Italian Moka Coffee Pot, and why should I care? Why is pressure so important for high-quality espresso? Why would I ever consider a stovetop espresso maker over a machine one? How do you use a stovetop espresso maker? If I think a stovetop espresso maker is an optimal option for me, how do I find the best one possible? The Italian Moka Coffee Pot has long been renowned as a coffee espresso maker with an innovation is a deceptively simple design. 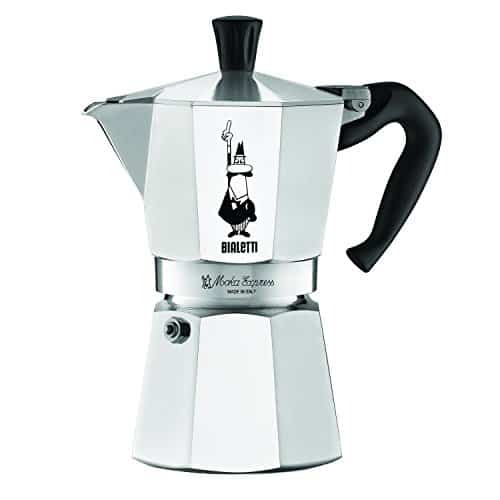 After the first war and before the second, the Moka coffee pot was also a symbol of Italian prosperity and culture, so much so that to this day it is displayed as a relic of historical and cultural significance at the Museum of Modern Art in New York, as well as the Cooper-Hewitt Smithsonian, also in New York. It also previously earned the distinction of most popular coffee maker in the Guinness Book of World Records and has been especially prized in several countries, including Italy, Cuba, Argentina, Australia, and even the United States. As the center of trade in the 17th century, Venice was a perfect place to more fully develop coffee and espresso culture in Europe. And though Italy has some signature coffee of its own, it was really innovation and invention that made Italy a giant in the coffee and espresso industry. But of all the gadgets produced in Italy, the most significant of breakthroughs was a central idea: using pressure to produce stronger coffee, and eventually, espresso. 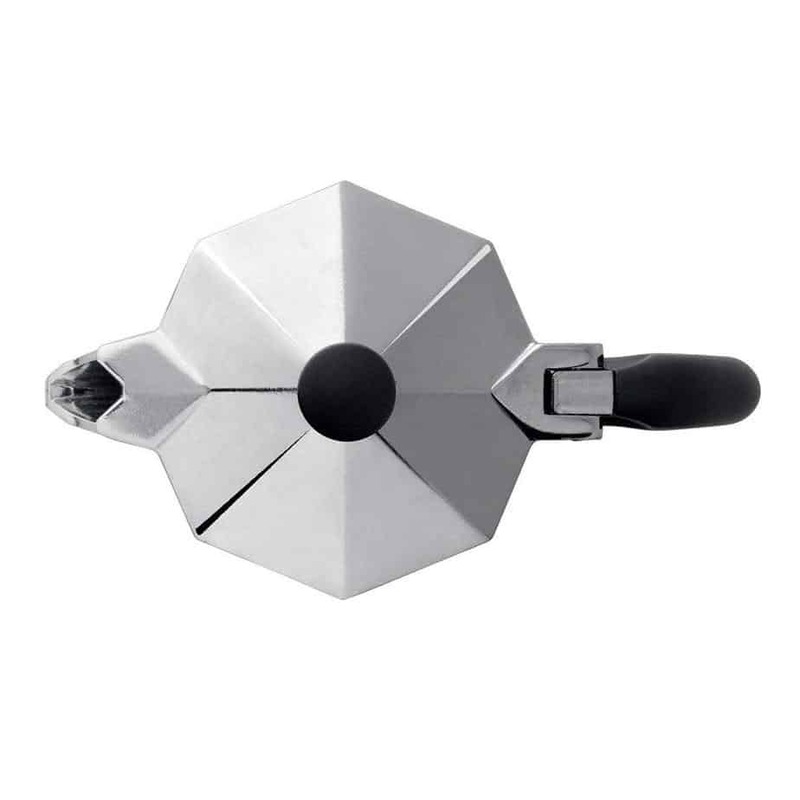 And that simple idea became the heart of the design behind the Italian Moka Pot. The Moka Pot operates by applying pressure to create steam, which pushes boiling water through ground coffee. As simple as it sounds, at the time of its introduction, it was a revolutionary technology and seemed to have stood the test of time. Pressure is in fact very important for coffee, and especially so for espresso. Nine bars of pressure, or in other words, nine times the weight of the normal pressure of water at sea level is optimal for espresso–its about 130 PSI, which is actually pretty high. Coffee pucks and funnels can help control pressure. Very fine and tamped coffee works best with the pressure to produce espresso. While many factors affect the overall taste and quality of espresso without properly applied pressure, you won’t get the results you’re looking for. Pressure is also crucial if you want a rich crema. Crema is formed in part by the high concentration of carbon dioxide that is released when coffee is brewed, but it’s only fully achieved by combining boiling water and high pressure. Without these factors, there is no, or very tenuous, crema. A machine, or automatic espresso makers, are popular for many reasons, not the least of which is the fact that they take the guesswork out of making espresso for you, brewing with the right amount of pressure and at the right temperature. Some machines, like a Nespresso, also use intelligence to detect what kind of coffee pod is being inserted and even create the right portion size so that you’ll get the proper ratio of coffee to water. Automatic machines tend to be quicker, require less clean up, and you don’t need to know much about brewing in order to use them and produce decent espresso. 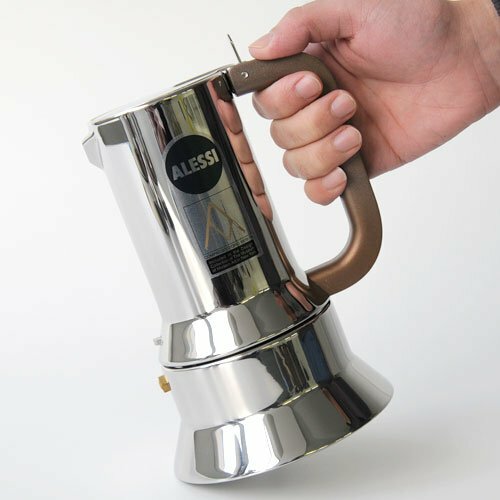 And because getting a good espresso is a bit more finicky than achieving a quality cup of plain java, it’s certainly not hard to see why stovetop espresso makers, even those are respected and iconic as the Italian Moka Pot, dipping in popularity and more and more being replaced by automatic espresso machines. But that doesn’t mean there are no advantages to using a stovetop espresso maker instead. In fact, the best stovetop espresso maker can be a great alternative to investing in a popular automatic coffee machine. Some of it depends on taste and preference, and it of course also depends on which automatic coffee machine is being compared with it. However, there are certain components you shouldn’t compromise on. Prove to be far more affordable, both in terms of initial purpose and likely as a long term investment. Many automatic machines operate using pods, which, will more precise and more convenient than whole bean or freshly ground, is all more expensive and may be more limiting in terms of flavors and where you can purchase. Provide more variety. With a nod to what we mentioned in the previous point, there are more options, because you can select your own coffee, without the restrictions of purchasing coffee that works with the machine. Some machines have more options than others, but all are more limiting than being able to select your own coffee, and that’s important to note, because roast type, flavor, aroma, and level of acidity all play a critical role in making the best espresso possible. Offer more storage space. If you’re living in tight quarters, a stovetop espresso maker can be a far more practical option because, unlike bulky espresso machines, it won’t take up precious counter space and can easily be tucked away. It’s also far more portable if you would want to have your own espresso when you travel. If you’ve considered purchasing a stovetop espresso maker but are still hesitating, chances are you may be worried about how hard they are to use, and how steep the learning curve is. Luckily, the steps are fairly simple. Identify the funnel insert and remove it, along with the top cap of the maker. The lower part of the maker should be filled with water, preferably filtered and not tap. Fill with cool water up to, but not past, the safety valve. There should be a fill line on most makers. Place the filter funnel back in and fill the filter with about three tablespoons of finely ground espresso. You can experiment a little with the ratio, but this is a good place to start. Screw the top back on and make sure it’s tightly sealed. Start the espresso maker on medium-high heat; if you have a thermometer, the ideal temperature you should be boiling at between 195 and 205 degrees Fahrenheit. In a Moka Stovetop maker, steam pressure pushes the coffee from the lower to the upper chamber. Upward explosions mean the temperature is too hot, while minimal boiling means it’s likely too cool. Since both under extraction and over-extraction is a common reason for less than ideal espresso, you’ll need to be vigilant about brewing time. With a Moka Pot, you’ll hear a soft hissing sound. Espresso should come out slowly, not in bursts. A few minutes is normal, but brewing time depends on a few factors, including how much you’re brewing at once, the pressure and the temperature. If you brew cautiously (reach temperature gradually and not going over the recommended temperature) you have less of a chance of scalding the espresso. If the espresso is too sour, it means either the coffee wasn’t fresh, or, more likely, the grind needs to be finer. To clean, simply separate the separate compartments and rinse with cool or lukewarm water. Be sure to dry completely. The espresso makeover, for optimal maintenance and safety, should be cleaned after every use and stored in a cool, safe place. Funnel Filter, preferably in aluminum, with a perforated top. Note the cup size: while there are many espresso makers that are single serve (one cup), there are also three cup ones, nine cups, and even twelve cup ones. Rubber Gasket: this tiny section is actually pretty critical that functions as a mechanical seal to prevent leaks. Gaskets also help protect against moisture. The gasket absolutely needs to be rubber; if it is not, be wary. Filter Plate: You’ll also want aluminum here as well, with a perforated top. And again, there will be a variety of sizes in terms of filter plates. A pressure regulator valve: A pressure regulator valve is actually not included in the classic Moka Pot design, but in this modified version, the valve allows you to have more targeted control over the pressure by allowing water to build up, not unlike a pressure cooker. While it takes a little more finesse to use an espresso maker with this feature, the extra pressure results in less leaking vapors and even cuts down on your overall brew time. A steady bottom chamber, to hold water, and that will withstand use. If you are shopping in a store, or even if you do purchase online, make sure it’s well constructed before use. Safety valve, which needs to be clearly labeled. Spout, for easy pouring. This is more negotiable, but will also make your life a lot easier. A thinner spout may take longer to transfer but is preferable for espresso due to a smaller serving size than as desired for coffee. The best coffee machines will be easy to use and clean. This is a fairly basic requirement, but should not be ignored nonetheless. Removable parts, clear directions, and clean design are what you want to look for. Anything over complicated or with little to no signs of removable parts is not your best bet. Unlike with automated espresso makers, where you might be on the hunt for the best and most innovative features, simpler is mostly better. Aluminum, or stainless steel are the most common, and best materials for stovetop espresso makers. You should make sure it is one of those two metals because they are among the most resistant to corrosion. While properly cleaning and drying the makers are the best way to ensure durability, you should steer away from other materials for the longest life possible for your stovetop espresso maker. As with anything else, to find the best stovetop espresso makers, you’ll want to go over a customer and featured reviews, as well as the company itself. See where the maker was manufactured, and who’s involved. The best stovetop espresso makers should at least mention what level of pressure the brewing system offers. As we have already discovered, the pressure is essential to making the best espresso possible. The ideal pressure is 9 bars; much less than that and you want to get what is considered a “true” espresso. However, most stovetop espresso makers do not manage this. You may have to lower your expectations, but you should get at least some information about how, or if it uses a system that applies some sort of pressure. Extraction ratios should be listed and are important for brewing the best espresso possible. Keep in mind you may not get the same results as you would from an espresso machine. In fact, you simply won’t, largely because of the previous statement made about the importance of pressure to make a great espresso. As such, you are also unlikely to produce much in the way of crema, either. If you expect the exact same results from a stovetop espresso maker, you’ll end up disappointed. Nonetheless, you should still be careful not to lower your standards in other areas. 2.bonVIVO Intenca Stovetop Espresso Maker, Italian Espresso Coffee Maker, Stainless Steel Espresso Maker Machine For Full Bodied Coffee, Espresso Pot For 5-6 Cups, Moka Pot With Silver Chrome Finishsso Coffee Maker: This stovetop espresso maker is a bit more expensive than others, but comes highly recommended with a four and a half star rating, based upon seventy-five customer reviews. 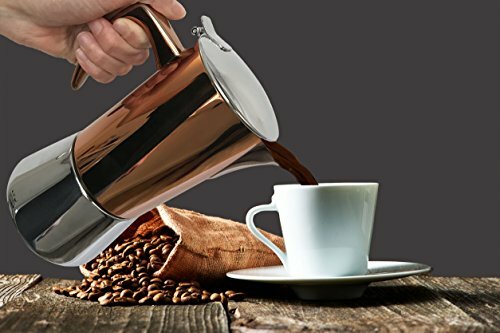 The stainless steel maker can make up to six cups at a time, features a durable copper chrome finish, as is meant to mimic the design of Italian espresso makers. 3. 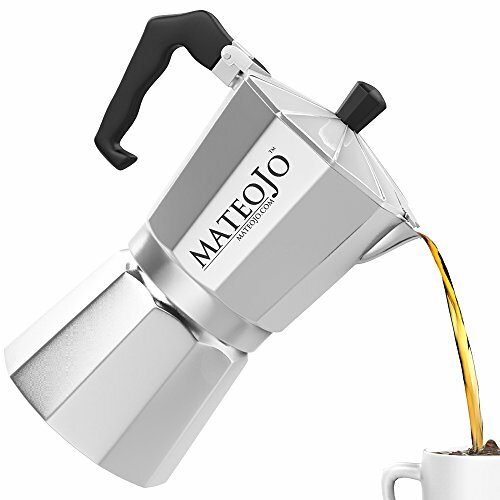 Stovetop Espresso Maker – Italian Moka Pot – Cafetera – Cuban Coffee Machine – 6 Cup by MateoJo:Mouthful of a name aside, this stovetop espresso maker is a good option that’s mid-range in price and is perfect for novices: in addition to printed directions, you also get free video tutorials on the company’s website. It also can make up to six cups at a time, has mostly positive consumer ratings, and can be used to make a variety of espresso drinks. 4. Godmorn Stovetop Espresso Maker, Moka Pot, Coffee Maker:: Granted, this espresso maker only has eight reviews, but as of now, Amazon customers give it a perfect five-star rating. 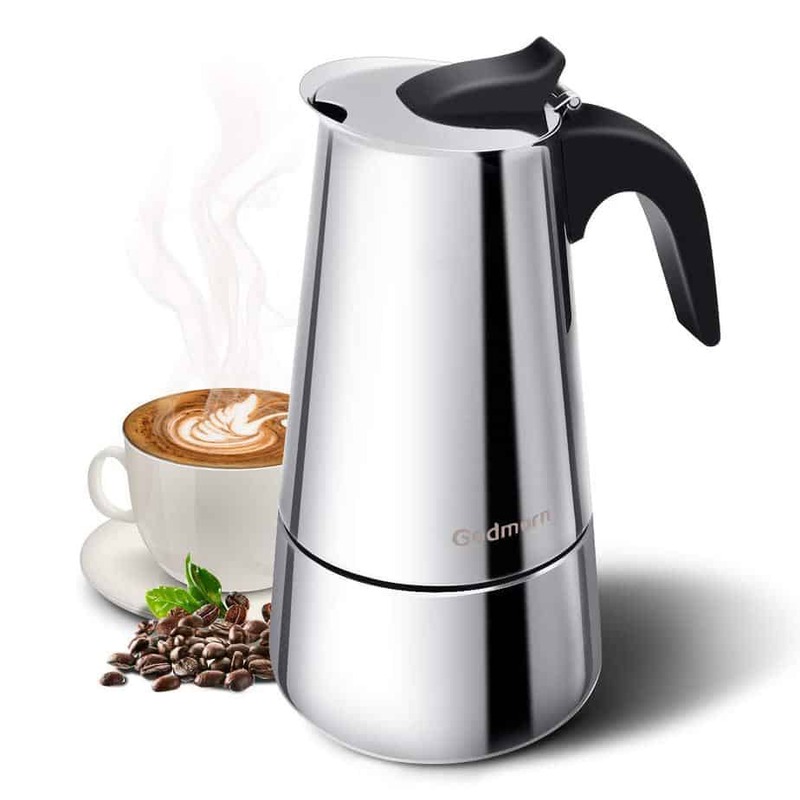 The price is very affordable at just twenty dollars and it features a simple but clean design, with stainless steel, a curved pitcher spout, and a comfortable handle. 5. 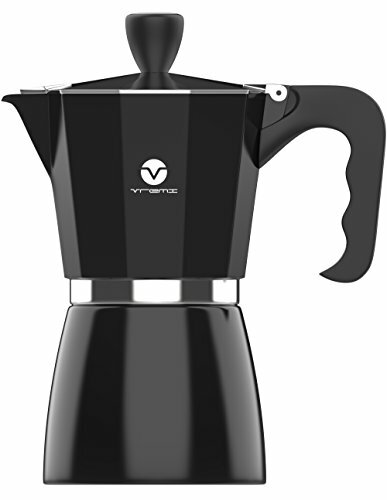 Vremi Stovetop Espresso Maker – Moka Pot Coffee Maker for Gas or Electric Stove Top: This stovetop espresso maker rounds out our list, with four star average customer ratings, a very affordable price, and an easy grip handle. The product description emphasizes how quickly you can enjoy espresso, as well as its capacity to make up to six cups. Erin Jamieson holds an MFA in Creative Writing from Miami University of Ohio. 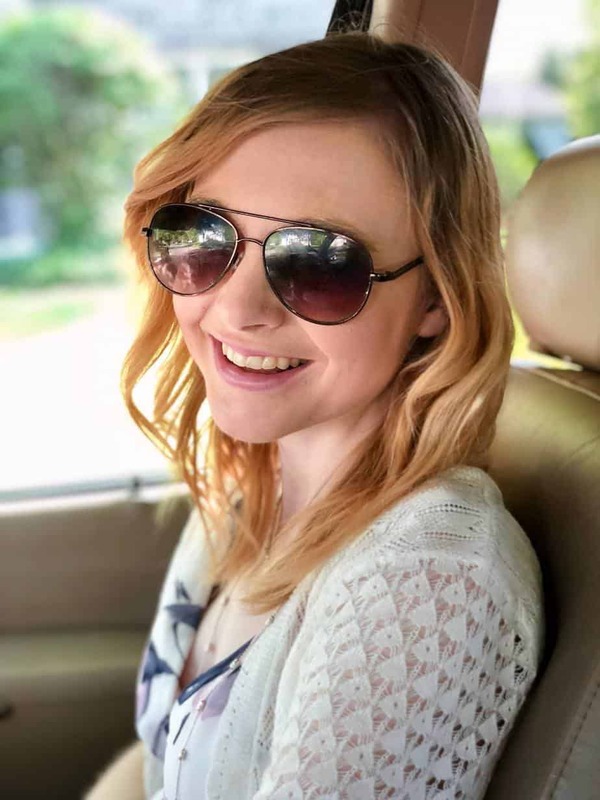 Her writing has been published or is forthcoming in After the Pause, Into the Void, Flash Frontier, and Foliate Oak Literary, among others, and her fiction has been nominated for a Pushcart Prize. Erin has been a coffee lover for many years, and there’s nothing she likes better than high-quality coffee with a layer of crema. She loves helping others find their very best cup.